FLASH... Nelson Mandela is Dead! "He is now rested, he is now at peace," Mr Zuma said, as huge crowds grew outside the former leader's home. "Our nation has lost its greatest son, our people have lost a father. "But though we knew that this day would come, nothing can diminish our sense of the profound and enduring loss. "Although we knew that this day would come, nothing can diminish the profound and enduring loss." "Our thoughts and prayers are with the Mandela family." The man credited with dismantling South Africa's system of apartheid which institutionalised racism, Mandela was an international symbol of reconciliation and human rights. How do you feel about the death of Nelson Mandela? 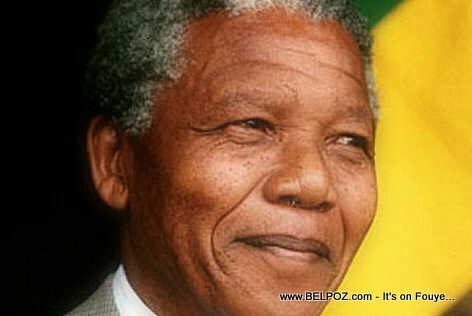 Mandela did great things on behalf of his people in South Africa, and he should be commended for that. However, I do not remember Mr. Mandela doing anything for Haiti. I do not even remember him addressing the perceived mistreatment of Haitian nationals in the Dominican Republic and other countries.